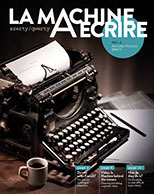 Self promotion magazine for the parisian agency La Machine à Écrire (type writer), a highly creative agency specialised on editorial strategies and writing. Changes is the idea of a magazine created during a tender for the Hays Group with the french agency Prodeo. Connect monde is a trimestriel magazine of France Telecom/ Orange for their employees world wide realised by Havas World wide France. 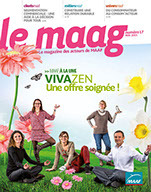 Le maag is a monthly magazine for the employees of Maaf Assurances created by Bytheway Creacom. It lives by its participation of the employees in their photo shoots. Conception and realisation of the monthly magazine Osmose of the Klésia Group for the agency Bytheway Creacom.